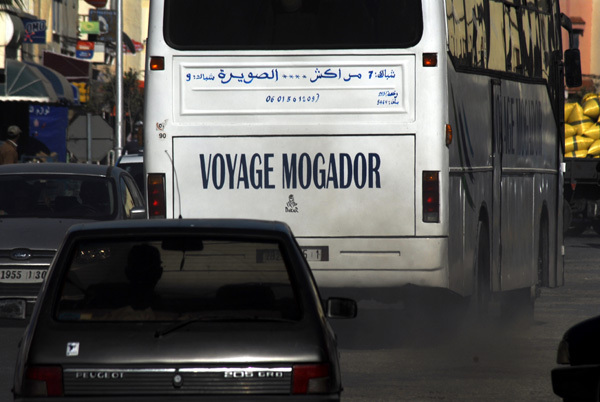 What is the origin of the name Mogador? Essaouira was known as Mogador during the French protectorate 1912 - 1956. With the independence of Morocco, the town took the official name of Essaouira! But the name Mogador was identified in the world map of Medici in 1357 and on a map designed by Pizzigani 1367 and the Portuguese called it Mogadouro and the Spanish Mogadour - Mogador. The name Essaouira originate from when the Sultan Sidi Mohammed Ben Abdallah renewed the city and called it Souira (Souera) 1767. Ptolemy (AD 90 – 168). Migdal - Migdol - A-Migdal - A-Migdol. The original Phoenician name for this ancient outpost could have been ‘'Arambys'‘ deriving from the Phoenician phrase ‘'Har Anbin'‘, meaning ‘''mountain of grapes'‘. The Phoenicians founded a dye (purple factory) on the island which later the Romans reestablished and it gave the name "the Purple Islands" ( Iles Purpuraires,ile de Mogador). In Amazigh (berber) language Amagdoul ("the well garded"). The muslim saint Sidi Mogdoul was buried here in the middle ages and his name is important to this place. A common understanding is that the name Mogador , likely is a deformation of the name Sidi Mogdoul. It is also said he was a Scottish mariner with name MacDougal who got wrecked on the coast some centuries ago and acquired the status—and pronunciation of his name—by which he is now respected. And from (Migdoul) Mogdoul to Mogador is just one step and the name Mougdoul exists only in Essaouira in the muselman world. was belonging to the Regraga Brotherhood. The Portuguese called the town Mogadouro, the Spanish Mogadour - Mogador and the French Mogador. The traveler Drake mentions Domegador in 1577 and this name is found in the maps published in Holland by Judocus Hondius in the sixteenth century. The Capuchin Fathers of Toutaine report that in 1628 the Sultan Abed al-Malik was planning to use Christian slaves to build a fortified port face the Atlantic islands and even mention the existence of a fort on an island. The French used the name Mogador during the protectorate 1912 - 1956. With the independence of Morocco, the town took the official name of Essaouira! Es Soueïra meaning in Arabic the beautiful image. Another interpretation is that the term derives from the Arabic word elmoussawara meaning the walled. Essaouira - a town with many names! "The pearl of the kingdom" or "The pearl of the Atlantic"
The name Mogador is used all over the world. Mogador was the lead ship of the French Navy's Mogador-class destroyer (French: contre-torpilleur). She was built before the outbreak of World War II.